In an ideal world, all email storage and retention policies would be the same. Imagine the simplicity of implementing effective and compliant policies at the click of a mouse, or the ease with which service providers could meet the requirements of their clients. Unfortunately – due to different state laws, industry regulations and the ways in which different organizations operate – most email storage and retention policies are unique. This means that most policies have to be compiled from scratch. Unique email storage and retention policies also raise the issue of identifying an appropriate archiving solution to meet the needs of each individual organization – or sometimes, each individual department within an organization. It is no wonder that some organizations choose to save every email! This article aims to help overcome some of the issues related to email storage and retention policies by explaining how policies should be compiled, how retention periods should be assigned, and how cloud-based archiving solutions can best meet an organization´s email archiving requirements. Despite the impression that may have been given above, compiling email storage and retention policies is not that difficult. Most policies share the same framework, and it is just the detail that has to be inserted to comply with regulatory standards and give policies a purpose. Indeed, the first item in all email storage and retention policies should be to identify their purpose and explain the regulations the policies comply with (not forgetting the Federal Rules of Civil Disclosure, which all organizations have to comply with). Thereafter, the policies should list the retention times required by each regulation and the storage measures that need to be implemented in order that an unaltered and accurate copy of each email is available if requested by a court, or required as part of a disaster recovery plan. The policies should also contain sections about the measures that need to be implemented to enable a “litigation hold” when email data is required for eDiscovery, and the personnel responsible for implementing the email storage and retention policies. One of the best tips for assigning retention periods is to index each email by its type of use, rather than a default period relating to the industry in which your organization operates. For example, if your organization is a public company operating in the finance industry, email storage and retention policies have to comply with the Sarbanes-Oxley Act. This Act stipulates that records relating to an audit or review must be retained for a minimum period of five years from the end of the fiscal period in which the audit or review was concluded. This does not mean that all emails have to be retained for five years. To do so would unnecessarily require a significant amount of storage space. By indexing emails according to their type of use, your organization could retain the relevant records for a minimum or five years, but – for example – store email data relating to client correspondence for just three years (subject to your states Statute of Limitations for contractual law), executive correspondence for two years and everything else for a default period of one year. Naturally this would require a level of co-operation and agreement between multiple departments (IT, HR, legal and finance for example), but it would have the result of simplifying email management, reducing the amount of storage space required and accelerating searches as there would not be so much data for the archiving solution to search through. There are four different types of email archiving solutions – hardware-based, software-based, cloud-based, and hybrid solutions combining the storage benefits of cloud-based solutions with onsite software. The considerations that typically make cloud-based archiving solutions best for compliant email storage and retention policies are space and security. Regardless of the size of your organization, it is probable that the first hardware-based or software-based solution you invest in will be insufficient for your needs over time. The volume of business email traffic is estimated to increase by 5% annually for the foreseeable future; so, if your organization receives 1,000 emails per day at present, in ten years’ time that figure will have risen to 1,629 per day. Cloud-based archiving solutions expand dynamically over time as the organization´s email database grows. This means that there are never any issues with storage space; while, with hardware and software based solutions, it may be necessary to add additional devices, reassign servers or migrate data offsite. Effectively, cloud-based archiving solutions keep the costs of archiving emails to a minimum. Security is of particular importance. The Federal Rules of Civil Disclosure and most industry regulations stipulate that mechanisms must be in place to ensure the integrity of email data and prevent theft, loss or alteration of the data. The failure to implement such mechanisms can result in penalties as large as those if the organization had failed to retain any data at all. Hardware-based and software-based solutions (and therefore hybrid solutions) offer a lower level of security than cloud-based arching solutions. Hardware solutions can get damaged, lost or stolen, while data stored on an on-site software solution can be corrupted or hacked. Typically, data transfers have an extremely high level of security and constantly back-up data to ensure its integrity. Having determined that cloud-based archiving solutions are the best for storage space and ensuring the integrity of email data, it is important to note that not all cloud-based archiving solutions are the same. Some back-up data periodically rather than in real time, presenting the opportunity for data to be altered or deleted before a copy can be made. Some may copy every email without considering that duplicated data will fill storage space quicker, extend search times and return multiple similar results; while others will be compatible with only one or two types of mail server or email service. 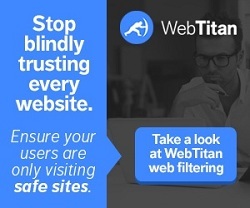 ArcTitan Cloud from WebTitan takes into account these potential issues by copying emails in real time and deduplicating data before indexing it, compressing it and storing it in an IL5 certified data center via an encrypted TLS channel. Once archived, granular access levels and tamper-evident audit trails ensure that all access to archived email data is monitored, while mechanisms exist to prevent the alteration or deletion of archived emails while they remain within their retention period. Universally compatible with every operating system, mail server and email service, retention periods can be set by subject, type of use or a mixed selection of parameters via a browser-based portal. Our cloud-based solution for archiving emails can search a database of 30 million emails in under a second and scales up to 60,000 users with no loss of performance. Remember, with cloud-based archiving solutions, organizations only pay per user and not by the volume of space they consume. ArcTitan Cloud is not only easy to use, it is also easy to implement in order to apply email storage and retention policies immediately. Setting up the solution takes just a few minutes and, if your organization has an existing email archive, it can be imported to ArcTitan Cloud quickly and easily without the need or cost of conducting a data conversion. It can be exported just as quickly and easily as ArcTitan Cloud does use proprietary formats to store emails. If your organization is in the process of compiling email storage and retention policies – or has policies in place but not yet found a suitable solution to implement them on – do not hesitate to give our team of Sales Technicians a call and request a free thirty-day trial of ArcTitan Cloud. Our offer will five your organization an opportunity to experience the benefits of ArcTitan Cloud in your own environment with no contracts to sign and no obligation to continue with the service once the trial period has ended. To find out more about our free trial offer, or to ask any questions related to email storage and retention policies, contact us today. Within minutes we will have your free account up and running and our cloud-based archiving solution ready for you to use. If you have an existing email archive, we can walk you through the migration process or liaise with your IT department for a speedy transfer of data. Furthermore, our team of Sales Technicians will always be on hand to provide advice and help you with any technical or administrative issues you encounter during the free trial period.